Foreclosure means a whole lot of things to a lot of people. For a buyer, it means an opportunity to buy a property at a, hopefully, substantial discount. To a property owner, it means their world has been turned entirely upside down. It’s a major loss and invasion to have someone you don’t know come in and take away the place you call home. In a majority of foreclosures, one of the homeowners hides it from the spouse. Usually, the partner keeping the secret is the person responsible for paying the bills and is (or feels) responsible for causing the problem and fixing it. This partner may feel like a failure for not properly managing the finances or for overspending, or the person may be using the family finances to support an embarrassing and costly habit. · Makes you more susceptible to becoming a victim of foreclosure rescue scams. One of the con artist’s most powerful strategies is divide and conquer. They will offer ways to avoid foreclosure so your partner “never has to know about it.” They are afraid that the more people “know about it,” the more likely they will get caught. · Removes one of your pillars of support. As a couple, you have a much better chance of improving the outcome than by acting alone. Your partner may have some excellent ideas and resources to help save your home. · Wastes time. The longer you try to keep the secret without taking positive steps to resolve the problem with your lender, the less time you have to save your home, sell it, or pursue other options. · Leads to distrust with your partner, who will eventually find out anyway. Remember, your partner is going to eventually find out about the foreclosure. It’s always better if your partner finds out earlier from you rather than later from a stranger… like when the sheriff shows up to evict you and your family from your home or the person who purchased the home at auction shows up at the front door. If you and your partner can’t have an honest discussion about household finances and troublesome behaviors, then your entire relationship is already at risk. Look at the foreclosure as an opportunity to become open and honest and build intimacy. Either your relationship will not survive, meaning it was not worth trying to save in the first place, or it will deepen and become more rewarding over time. What is equity? Equity is the amount of money that you get to keep after you sell your home and pay back the debt you owe on it. Adding communication back into the equation gives you and your partner a much better chance of addressing the underlying financial shortfall and ultimately saving your home or selling it to cash out enough equity to make a graceful exit. Whether you’re currently facing foreclosure or have just missed one or two mortgage payments, tell your partner immediately. Losing your home in a vain attempt to avoid an uncomfortable discussion with your partner is the wrong approach. · The absolute worst option is to deal with a con artist who’s out to steal your home through some foreclosure scam or strip you of the equity in it. · The next worst option is to do nothing. When you do nothing, the lender forecloses, the property is sold, and you’re evicted. You can say “so long” to both the property and any equity you built up in it. · Another bad option is choose a solution that puts you right back on the path to future foreclosure. Some people, for example, borrow money to reinstate the loan – that is, bring the payments current with the bank. This is a viable solution if the financial setback was temporary and you will have sufficient income to start making payments on your mortgage and on the money you borrowed to reinstate. However, if you are unable to make the monthly payments, you will probably be better off selling the home and finding more affordable accommodations. If you are afraid of telling your partner, then ask another family member, a close friend, a financial counselor, a marriage counselor, or someone else that you and your partner both feel comfortable talking with and that you both trust to help you break the bad news. An unbiased third party can act as an intermediary, laying out the facts more rationally, so arguments do not get in the way of a full disclosure. You want to come clean and lay all the facts and figures on the table so you and your partner know what you are dealing with. Remember, what has happened is in the past. You and your partner can do nothing to fix what has already happened. You can only make things better now and for your future together. About the Author: Ralph R. Roberts, GRI, CRS and his team of foreclosure experts regularly assist families facing foreclosure and have authored Foreclosure Self-Defense For Dummies (John Wiley & Sons). Although we don’t face foreclosure very often here in Murphy and the rest of Cherokee County, it does happen. In fact, I have a great buying opportunity with one of my clients in foreclosure right now. If you’d like more opportunities, email me. If you’re faced with a financial crisis and would like a consultation on what options and opportunites you have, call us and let us know. We’d be happy to help any way we can. John and Jessica Poltrock – The POLTROCK TEAM at REMAX of Murphy, NC – Homes and Land in the Mountains of North Carolina – www.MyMurphy.com – JohnPoltrock@gmail.com – Call Toll-Free (877) 837-3002 and demand the POLTROCK TEAM!!! Holy Cannoli!!! They Sold It 68.5% FASTER Than the Market – AGAIN!!! Wow! The POLTROCK TEAM sold this +/- 6.9 Acre tract in the Hiwassee Dam Community in 67 days!!! That’s 68.5% faster than the market’s average of 213 days for land! When you want results, call RE/MAX TODAY toll free (877) 837-3002 and demand the POLTROCK TEAM!!! You’ll receive a FREE full-color 15 page packet on how they get the results you’ve been looking for. Flip This House… But Isn’t Flipping Illegal??? Not the investor’s ethical kind! Everyone is an investor in some form, fashion, or another. You may own stocks, bonds, have a bank C.D., or own real estate. There’s many ways to make money in real estate – rent, leases, appreciation, and more. During the housing boom, flipping houses was almost a national pastime. Shows like Flip This House, Flipping Out, and Flip That House attracted huge viewing audiences, and nearly every book in Amazon’s real estate top sellers category had the word “flipping” in its title. If you mention house flipping to a real estate or law enforcement professional, however, they are more likely to think that you are talking about committing a crime. To them, the word “flip” is a nasty four-letter word. HUD (the U.S. Department of Housing and Urban Development) declared it so when it released its FR (Final Rule)-4615 Prohibition of Property Flipping. So, is flipping good or bad? Legal or illegal? Well, that depends which form of flipping you’re talking about. The illegal variety consists of selling a home multiple times over a relatively short period in order to artificially inflate the home’s value and cash out the inflated equity. To begin, a con artist will purchase a home (typically a dilapidated property that costs very little). He or she will then obtain an inflated appraisal for the property – by finding an appraiser willing to go along with the scam, stealing an appraiser’s identity to forge a fake appraisal, or using a phony appraisal document. The con artist can then apply for a loan for the inflated amount. (Or, the con artist will apply for the loan and then, with the help of a cooperative loan officer, obtain the inflated appraisal to present to the lender.) In either case, the con artist usually takes out the loan in the name of a straw buyer (someone who owns the home in name only) or by using a fake or stolen identity. Eventually, the house flipper either sells the home to somebody who is unaware of its true value or abandons the home. That’s illegal flipping in a nutshell. Legal flipping consists of buying a home for less than its true market value (usually at least 20 percent less), fixing it up, and then selling it at or near its true market value. This fix-and-flip approach is the type of flipping they do on TV shows like Flip This House and Flip That House. It is a shrewd and honorable way to earn a buck in real estate. As a consumer, knowing the difference between the two types of flipping is important. Know the illegal form of flipping so you don’t break the law or get stuck with an overpriced piece of real estate that’s being used in a flipping scheme. Know the legal form of flipping, so you can fix and flip your way to wealth in real estate. About the Author: Ralph R. Roberts, GRI, CRS is an experienced real estate investor and consultant and the author of Flipping Houses For Dummies (John Wiley & Sons). In working with The POLTROCK TEAM, you won’t have to worry about becoming the prey of an illegal flipping scheme when you’re looking to buy a home or land in the mountains. It’s extremely important, no matter where you are, to work with a Realtor who’s looking out for your best interest so your investment doesn’t become a bogus one. If you’re looking to invest in the mountains and want to do the legal flipping by purchasing a great property to make money in the short term or long term, let us know! We come across great values, not every day, but regularly and need people who are looking to invest. Call us us today and let me know! Not only that, subscribe to our blog and you can find out great values as we come across them! 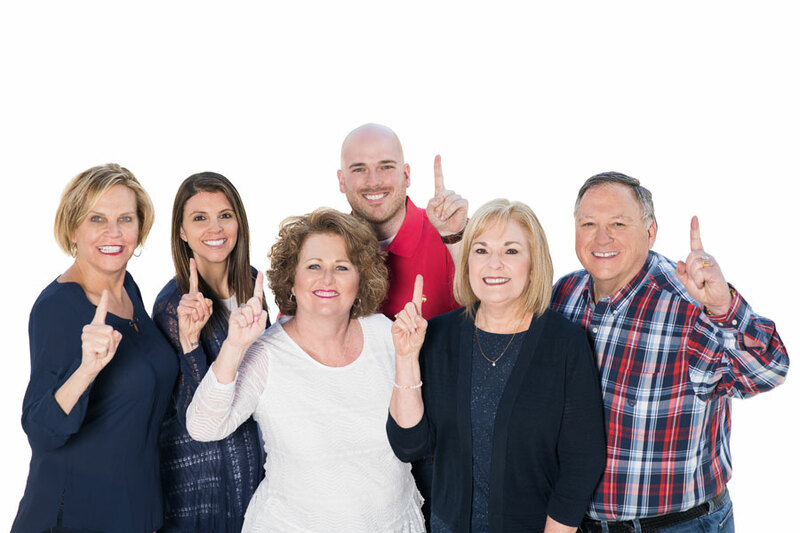 John and Jessica – The POLTROCK TEAM – RE/MAX of Murphy, NC – Real Estate in the mountains of North Carolina – www.MyMurphy.com – JohnPoltrock@gmail.com – Call (877) 837-3002 and demand The POLTROCK TEAM!!! Katie just wrote her report on krill and wanted to post it out there for everyone to see on her blog page! Enjoy! Krill are small shrimp-like creatures that live in all the oceans of the world – even Antarctica. There are more krill than people in the whole world. Krill are not heavy, but all of them together weigh almost twice as much as all the people in the world. Usually krill are one to two centimeters, but some of them are six to fifteen centimeters. Krill eat phytoplankton, zooplankton, and copepods. They have an important role in the food chain. Lots of different animals in all shapes and sizes eat krill. There are penguins, fish, seals, and even humpback whales. People also fish for krill. They are used for eating in Japan and Russia. Here in United States, they are used for feeding animals in aquariums, bait in sports fishing, and by drug companies. Female krill can carry several thousand eggs in her belly. Male fertilize the little eggs, and the female will put the eggs out in the ocean. Once a baby krill is born, most only live six to eight months. Some have been known to live up to six years. Krill are made up of three parts: the cephalon (head), the thorax, and the abdomen. They are crustaceans and have an exoskeleton – which means their skeleton is on the outside of their body. On their head, they have compound eyes, like a housefly, and two antennae, like an ant. On their body, the have separate legs for swimming, feeding, and grooming (cleaning). Krill and shrimp have different gills. Krill have them on the outside and shrimp have them on the inside. That is how you can tell them apart. Krill are very important in the world. They start many ecosystems because larger animals eat them, then another larger animals eats it. So next time you think krill are puny, think again. You probably have eaten a fish that once ate krill. The End. New Change in 1031 Tax Information Makes It Better for you Vacation or Second Home! 1031’s have long been a real estate investor’s friend. For those of you who are unfamiliar with them, it is a section of the IRS tax code that allows a person to sell an investment property and purchase another – tax free. 1031’s of course are simple in theory but have a few stipulations by the IRS. If you are considering buying a mountain property and want to do a 1031, we would be happy to guide you through the process. Here’s the basics behind the new rule: a person who owns a vacation or second home for at least 24 months, uses it for 14 or less days a year, or less than 10% of the time it was rented in any of those years, can qualify that dwelling unit for a tax-deferred Exchange. You don’t have to rent it out for an extended length of time, it could be rented for just 14 days a year and still can qualify. WOW – The POLTROCK TEAM Sold it 79.3% Faster than the Average Market Time! With the market averaging a staggering 203 days to sell a house right now, we just did it an astonishing 42 days! Through our aggressive marketing tactics, a homeowner who was a pleasure to work with, and some good ol’ fashioned hard work, it’s now someone’s new home in the mountains! It had an amazing view and was fully furnished by Moose Hollow and was in a nice cabin community, it really had a lot to offer. Located off of High Falls Road, it is situated right in the Marble/Peachtree area of Murphy, North Carolina. High falls Road is almost directly across from Vengeance Creek Road. If you’re looking to sell your home and want great results like these, call us today! John and Jessica Poltrock – The POLTROCK TEAM – RE/MAX of Murphy North Carolina – RE/MAX Mountain Properties – www.MyMurphy.com – JohnPoltrock@gmail.com – Everything from homes, cabins, land and more, call today! (877) 837-3002 and demand the POLTROCK TEAM! The POLTROCK TEAM did it AGAIN! SOLD in 7 days! The POLTROCK TEAM just did it again! This beautiful home located in the Ranger Community is now officially off the market! The new owner is moving in, probably as this is written, to enjoy their new home. Located almost directly across from the Cherokee County Industrial Park (which is really a county owned area for storage of machinery such salt trucks, etc.) on Willow Tree Lane, it has convenient access to Highway 64 and is only minutes away from the town of Murphy. Congratulations on your new home, and if you are thinking of selling, call us today to find out how you can achieve great results like this! Your Order’s Ready! Nottley River Lots Coming Right Up! Great news! I just met with a couple who has developed one the best river community I’ve seen in Murphy yet! They’re getting ready to come up for sale, so keep posted! Located right on the Nottley River in the Culberson community, there are 9 gorgeous river front lots, 3 of which also have creek frontage! There’s to be a nice community area right on the river to picnic and enjoy the water rushing by. Although I’ll leave it an unnamed community until its fully ready to be on the market, it has 29 amazing lots. They’re quiet, peaceful, and fully loaded! They all have river access on Nottley, septic permits, and underground utilities – including community water! Prices are to be very competitive to the market with an amazing opportunity coming up! Email me at JohnPoltrock@gmail.com if you want to reserve yours!! 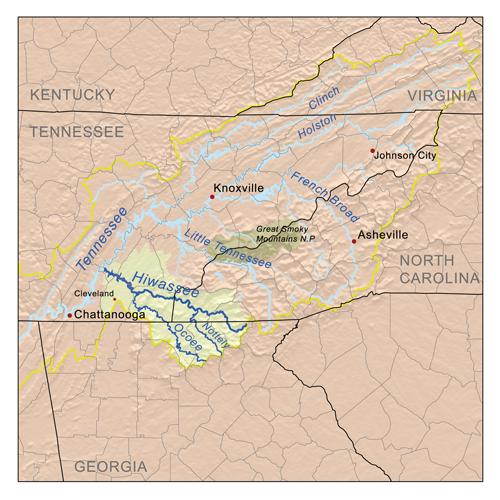 The Nottley River flows from Lake Nottley (formed by the TVA, or Tennessee Valley Authority) about 40 miles to flow into the Hiwassee Reservoir[wikipedia], better known as the Lake Hiwassee here. It has wonderful trout fishing and is simply a scenic river to watch! John Poltrock – REMAX Mountain Properties – The POLTROCK TEAM – www.MyMurphy.com – JohnPoltrock@gmail.com – Call Toll Free (866) 687-7496 and demand the POLTROCK TEAM! – Homes, Chalets, Cabins, Riverfront, Mountain Views, Whew! That’s a lot of REAL ESTATE! So far this year, we have been in the seasonal slow-down that affects our market mostly in January, February, March, and the beginning of April. With that said, sales traditionally drop to half or less of what the normal season is. This year is no different than any other. The sales in all of Cherokee County (including Murphy, Andrews, Ranger, Hiwassee Dam, Hanging Dog, Marble, and other communities in Cherokee) have taken a toll, but have seen a 31% increase since the beginning of January – not bad when it’s 31 degrees outside today! Here are some market numbers that you would want to know. If you have any questions as to the meaning of these numbers, please feel free to ask. These numbers will become more and more useful – especially when they are reviewed from a quarterly and greater basis. How does this relate to you, your property, and your plans? Ask! Tell us your situation and we will be happy to translate these raw numbers to what they will mean in your particular situation. Then when you’re ready, list with the best and you’ll sell before the rest! John and Jessica Poltrock – The POLTROCK TEAM at RE/MAX of Murphy NC – Real Estate in the mountains of Murphy, NC – www.MyMurphy.com – JohnPoltrock@gmail.com – Call (877) 837-3002 and demand the POLTROCK TEAM! Septic permits continue to be a hot topic in Cherokee County that literally revolves around… well… crap. I must point out, we live in a county where one of the most politically involved issues is a septic permit – we’ve got it great here in Murphy! I recommend, as does any responsible real estate agent in our area, that anyone buying a lot has their property gets a "perc" test as most people call it. This ensures your property can have a septic system installed, and thus have a house built. Very seldom, that doesn’t mean anything. In this case of the article in the Cherokee Scout, one man had a permit that was revoked. This happened because a soil specialist who worked for the county did not do his job properly. He issued permits that should not have been because of unsuitable soil conditions. It seems to be a finger pointing session with the buck not stopping any where. Although I feel confident it will be resolved soon, it’s a matter of working it all out and going through the hoops. Since the property owner did everything that should have been done, I don’t believe they should be penalized. Now the question is, "Who’s Paying?" The state or Cherokee County? *Note* Out of all of the tens of thousands of permits issued, this issue has affected far less than 0.1% of property owners.